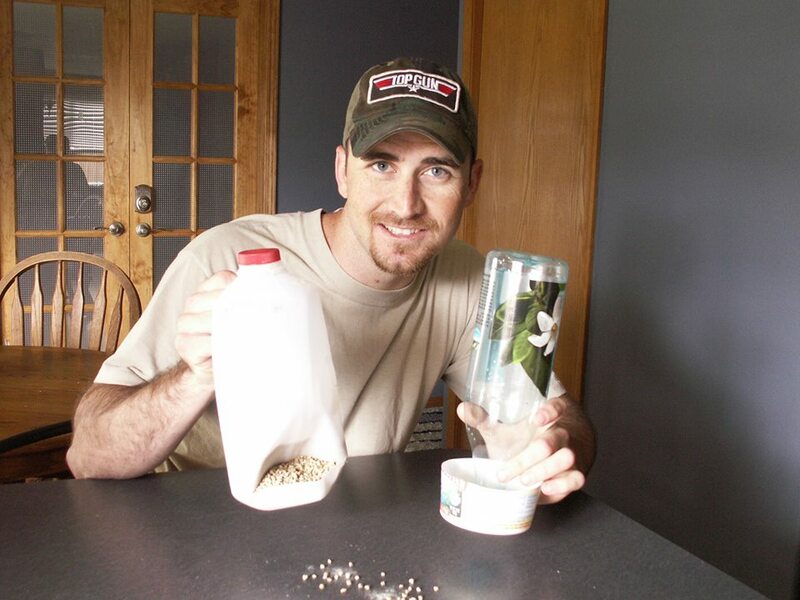 Why buy a feeder or waterer when you can make them for free?! 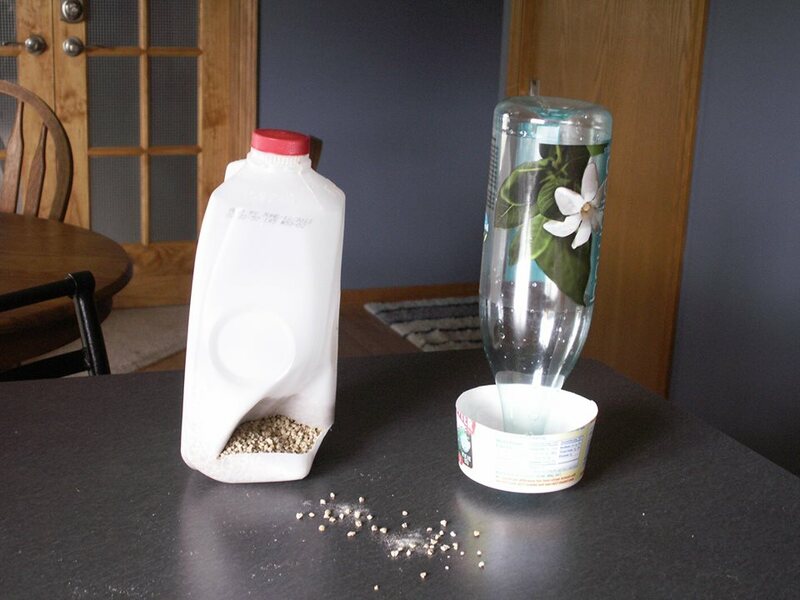 For the feeder cut a slit in the side of a milk jug, then press it inward with a screwdriver while blowing it with a heat gun to melt it into place. Then fill with chick feed and you’re done! The waterer is a physics phenomenon. Drill a 3/4” hole in the bottom of a large yogurt cup. Then trim down the sides to the desired height. Screw a plastic bottle through the 3/4” hole that you drilled. You will then mark on the bottle the level where you want the water to rise to (I went about ¼” below the lip). I used duct tape to add some wire to the top that I could fasten to the wall of my chick container to keep it from tipping over. You can also add a large round cap or piece of cardboard to the bottom to give it more stability. Fill the bottle, screw on the cap, and you’re all set.